Yesterday, EPA released preliminary water quality sampling data related to the temporary shutdown of the interim water treatment plant at the Bonita Peak Mining District Superfund site at Gladstone (Colorado). EPA’s analysis confirms that there were no adverse impacts to downstream drinking water or agricultural users associated with the short-term shutdown of the plant based on data that indicate minimal to no changes in water quality at sampling points downstream of Silverton in Durango. There were no observed impacts to aquatic life. Any impacts to aquatic life would be limited to the Animas River near Silverton. The water treatment plant went offline on the evening of 14 March due to extreme weather conditions resulting in a power surge that tripped critical circuit breakers at the facility. The same weather event triggered an avalanche and several snow slides across the county road and prevented access to the plant. After a period of less than 48 hours, EPA brought plant back online and resumed normal operations on the afternoon of 16 March. “EPA appreciates the efforts of our partners in San Juan County Colorado and the water plant operators for working quickly to minimise the length of time the facility was out of operation and limit any localised impacts to water quality,” said EPA Regional Administrator Doug Benevento. “During and after the treatment plant shutdown, real time measurements of turbidity, pH and electrical conductivity from sondes in the Animas River provided no indication that downstream water users would be adversely impacted,” said New Mexico Environment Department Chief Scientist Dennis McQuillan. EPA collected water samples at four locations along the Animas River from Cement Creek to Durango from 15 – 21 March. A preliminary analysis of the sampling data from 15 – 20 March shows a measurable elevation of metals concentrations, particularly copper, at the confluence of Cement Creek and the Animas River, about six miles below Gladstone. Levels of metals were slightly elevated at a location on the Animas River approximately one mile south of Silverton. Heavy metal concentrations in the Animas River at two sampling locations in Durango were well within the range of concentrations previously observed when the treatment plant is operating. The detections of low concentrations of metals in the Animas River may be associated with the temporary closure of the plant, but they may also be related to several other factors that should be considered when evaluating these data. These include snow and avalanche debris being deposited in Cement Creek, the Animas River and local waterways which potentially introduced metals containing soils and sediments. There is also the potential for the ongoing rain and runoff at lower elevations to mobilise metals containing sediments from the 416 fire at locations below the confluence of Hermosa Creek and the Animas River. Preliminary data can be viewed at https://response.epa.gov/GladstoneWTP. Data from samples collected on 21 March will available on this website later this week. In 2017, the EPA proposed requiring companies still operating mines to post cleanup bonds or offer other financial assurances so taxpayers don’t end up footing cleanup bills. The Trump administration halted the rule, but environmental groups are scheduled to appear in federal court next month in a lawsuit that seeks to revive it. The U.S. is the second-largest producer of coal in the world, thanks in part to massive surface mines like this one in Wyoming. Photo courtesy BLM. 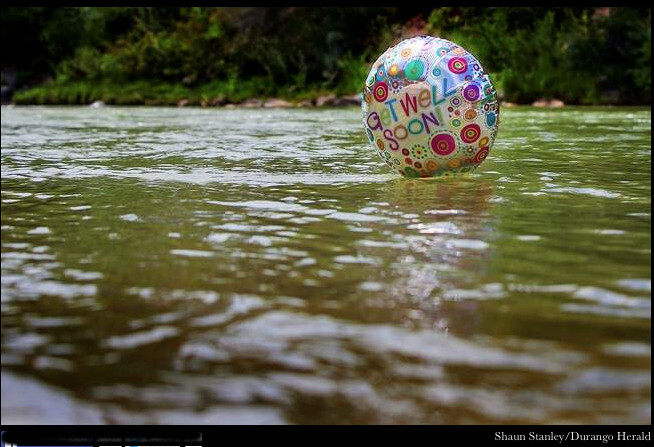 It has been a rough couple of years for the Animas River. In August 2015, the Environmental Protection Agency accidentally caused the Gold King Mine, near Silverton, to blow out, sending 3 million gallons of toxic waste down the Animas River, turning it orange. Then, this July, heavy rain fell over the 416 Fire burn scar in the Hermosa Creek drainage, just north of Durango, and sent a torrent of black mud, rocks and other debris down the Animas River. After both events, Mountain Studies Institute, an environmental research and education nonprofit, extensively monitored and researched the impacts on aquatic life and water quality in the Animas River. Though only a few months removed from the July floods, the preliminary data show the impacts of the Gold King Mine spill pale in comparison to the mudslides and debris flows from the 416 Fire burn scar. Peter Butler with the Animas River Stakeholders Group said that point was made clear when the 416 Fire runoff caused nearly all the fish in the Animas River to die. By comparison, there has never been any evidence that the tainted Gold King Mine water caused any die-off of aquatic life. Roberts’ study backs this with data. The study took samples at the height of the 416 Fire debris flows on July 17 and July 24 on the Animas River, near Rotary Park, and compared it to samples taken during the mine spill as it passed through the same spot Aug. 6 to Aug. 9, 2015. Gold King Mine Entrance after blow out on August 5, 2015. Photo via EPA. About 5 percent of Animas Valley wells had more serious contamination from heavy metals, nitrates or other forms of bacteria. Heavy metal contamination in these wells arises from the natural geology of the Animas Valley aquifer. After 27 years of EPA control, Colorado is preparing to take over the full financial burden — a forever bill for $2 million a year — of a high-mountain cyanide gold mine that became one of the West’s worst environmental disasters. The re-shaping of ravaged alpine tundra at the Summitville Mine through a $250 million federal Superfund cleanup stands out because scores of other toxic mines in Colorado still are contaminating headwaters of western rivers each day. But this fix requires constant work. Colorado must pay the $2 million, a bill that the EPA has been handling, starting in 2021 for cleaning a fluctuating flow of up to 2,100 gallons a minute of toxic water that drains down a once-pristine mountainside. The Colorado Department of Public Health and Environment will use the money to run a silver-domed $18 million industrial water treatment plant built at 11,500 feet elevation in a wild and spectacular valley, surrounded by snow-splotched jagged peaks. The plant houses huge stainless-steel vats of burbling brown sludge. Toxic metals are chemically coaxed and filtered out. Plant operators haul 4.1 million pounds a year of concentrated waste back up South Mountain (elevation 12,550 feet) in trucks for burial. This muck contains more than 690,000 pounds of cadmium, lead, copper, aluminum, iron, manganese and zinc. 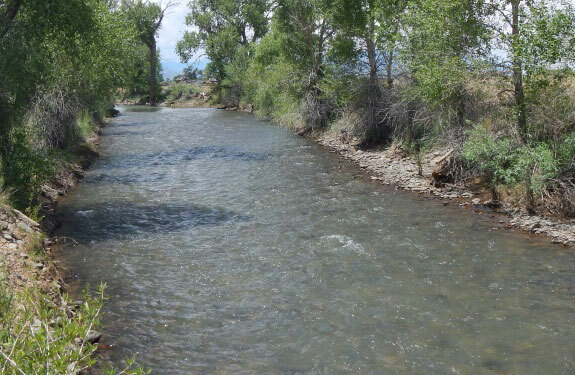 It is toxic metal that otherwise would flow down and degrade the Wightman Fork of the Alamosa River. The hand-off of responsibility for Summitville from the EPA to CDPHE in 2021 will mark a turning point in dealing with a severely damaged landscape using the nation’s Superfund system for handling disasters. This project was set in motion before Congress in 1995 killed automatic funding for Superfund cleanups. Complete restoration to a pre-existent state is considered impossible and the government aimed at best-possible repairs. An EPA spokesman issued a statement placing Summitville “among the more illustrious, or perhaps infamous, examples of the environmental damage a large mining operation can cause when resources for safely managing contamination sources disappear. The EPA’s initial response was an emergency situation in which the site was literally abandoned by the operator — in winter-time conditions — with a cyanide heap leach pad eroding into a headwaters stream. The cleanup improved water quality to where fish can live in Terrace Reservoir, about five miles below the mine, and in the Alamosa River. CDPHE officials now are required to monitor conditions. At Summitville, Rio Grande County eventually will own the 1,100-acre site. State and county officials have been setting up placards conveying the history of mining in the area with an emphasis on environmental damage and evolving efforts to repair harm. 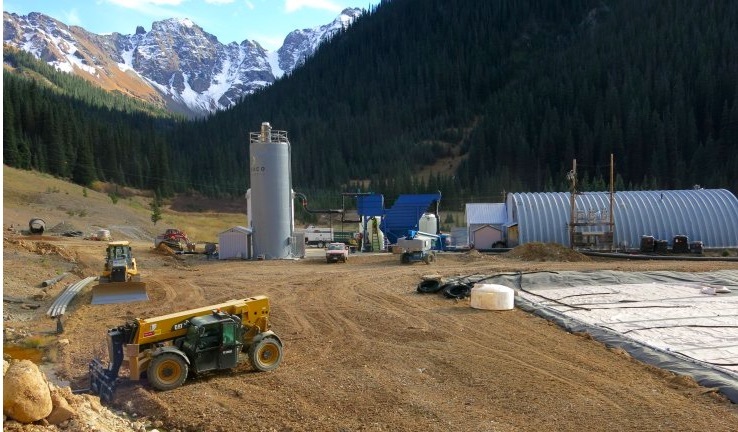 EPA officials announced last week that the agency has entered an agreement with a property owner who owns the Kittimac Tailings, a historic mine waste pile about six miles northeast of Silverton along County Road 2. The EPA built a $1.5 million temporary water treatment plant north of Silverton in October, three months after the agency triggered the Gold King Mine blowout, which sent a torrent of mine waste down the Animas and San Juan rivers. Since, the water-treatment plant has been treating and removing potentially toxic metals out of water that continues to discharge from the Gold King Mine. In April, the EPA said the mine was still leaking 450 gallons a minute. The agency had been storing this sludge waste product – which is considered non-hazardous – at the site of the water treatment plant in an area known as Gladstone, about six miles north of Silverton along County Road 110. Scott Fetchenheir, a San Juan County commissioner and former miner, said Wednesday local residents are pleased to learn the EPA found a better solution to the sludge waste issue. 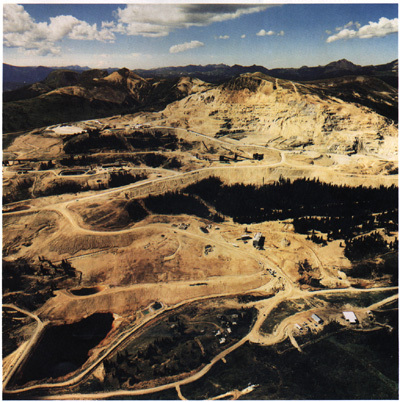 The EPA has said it will mix the Gold King Mine sludge with mine tailings located at Kittimac. The EPA said it is conducting a bench-scale testing of the sludge and tailings mixture to ensure the maximum reduction of metals leaching from the tailings. The agency plans to conduct a pilot test of this transfer process for one week in mid-June. While the short-term problem of where to put the sludge is temporarily solved, Fetchenheir said there remains the larger, more complicated matter at hand: what to do for long-term treatment of the mines draining into Cement Creek, a tributary of the Animas River considered the worst polluter in the headwaters. While lime treatment plants are effective, they are also expensive to operate ($1 million a year) and have to be run in perpetuity. The EPA has yet to release its plan for long-term treatment options. For now, the EPA said it will transfer the sludge via truck using the County Road 110 bypass. The agency said it hopes to reduce negative impacts, such as noise and dust suppression. After the pilot test in June, the EPA will resume transferring the sludge to the Kittimac tailings after the tourist season, around early fall, for a duration of about five weeks.